Hiromi Omura was born in Tokyo, Japan. After obtaining her Master of Arts in singing at the Tokyo National University of Fine Arts and Music, she moved to Italy, training in Mantua and Milan. She then transferred to France to join the Opera Studio CNIPAL in Marseille. She was the 1st prize winner in the Concours International d’Opéra de Marseille (2001), and won prizes in international competitions such as the Concours International de chant de Paris (Paris), Belvedere Competition (Vienna), Concorso Ismaele Voltolini (Buscoldo,Mantua/ Italy), Concorso Gianfranco Masini (Reggio Emilia/ Italy) among others. Highlights of the 2015-16 season included Opéra de Montréal for Otello in the role of Desdemona under the baton of Keri-Lynn Wilson with director Glynis Leyshon. She appeared as La contessa d’Almaviva in Mozart’s Le nozze di Figaro at the Tokyo Bunka Kaikan in Nikikai Opera under Sascha Goetzel’s musical direction and Amon Miyamoto’s stage direction. She will begin the 2016-17 season with a return to the Latvian National Opera in the title role of Madama Butterfly and then to Tokyo for her first Tosca under the baton of Daniele Rustioni at the Tokyo Bunka Kaikan. Hiromi Omura has performed the title role of Madama Butterfly since 2004, receiving great acclaim from critics and audiences around the world in numerous theatres, such as the New National Theatre Tokyo, the Deutsche Oper Berlin, Opera Israeli (Tel Aviv), Montreal Opera, Malaga, Cordoba, Santander, Metz (France), Lausanne Opera, Polish National Opera (Theatre Wielki), Savonlinna Opera Festival in Finland and others. She made her debut in Australia in her signature role of Cio-Cio-San for Opera Australia at the Sydney Opera House and the Melbourne State Theatre in 2012 (the DVD has been released). In the following season 2014, Opera Australia again welcomed her, this time for Handa Opera on Sydney Harbour in a new production directed by Alex Ollé (La Fura dels Baus). The DVD of this production has been released from ABC Classics. Other recent highly acclaimed roles, include her debut at the Theatro Municipal Rio de Janeiro, Madama Butterfly for the Latvian National Opera, a return to the Sydney Opera House and to Melbourne for Madama Butterfly, Norma (Norma/Bellini) for Lausanne Opera, Desdemona (Otello) for Toulon Opera and Opéra National de Lorraine, where she has also performed Silvia (Zanetto/Mascagni) and Contessa (Le nozze di Figaro/Mozart), Amelia (Simon Boccanegra/ Verdi) and Leonora (Il Trovatore/ Verdi) both for Opéra de Montréal. In 2013-14 season, she sang Sieglinde (Die Walküre/Wagner) at the Biwako Theatre in Otsu Japan, the title role of Norma (Bellini) in Toulon Opera, Liu (Turandot/Puccini) for Opéra de Montréal and Ariadne (Ariadne auf Naxos/R.Strauss) for the Pacific Music Festival in Sapporo-city Japan. In her homeland Japan, after her first appearance as Violetta (La Traviata/ Verdi) for Nikikai Opera, she made her debut in the New National Theatre Tokyo in 2004 in the role of Micaëla (Carmen/Bizet). Subsequently she returned to this theatre in such roles as Cio-Cio San (Madama Butterfly/Puccini), Nedda (I Pagliacci/Leoncavallo) and Elisabetta (Don Carlo/Verdi). In 2014-15, she made her debut in South America at the Theatro Municipal Rio de Janeiro and for the Latvian National Opera both in the title role of Madama Butterfly with great success. She returned again to the Sydney Opera House and Melbourne State Theatre for their season opening as Cio-Cio-San and has been celebrated by press and audiences alike. 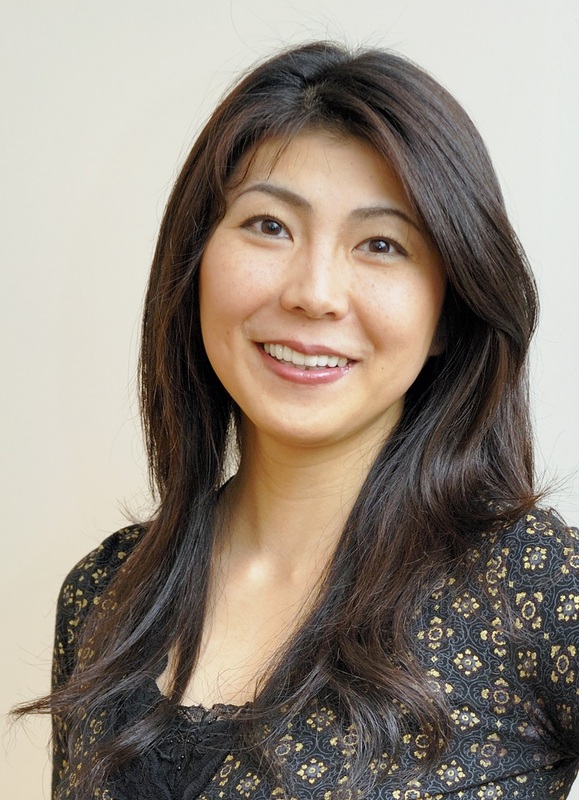 In the concert field, Hiromi Omura has sung Deutsches Requiem (Brahms) at the City of London Festival with the London Symphony Orchestra, Symphony No. 9 (Beethoven) with the Tokyo Philharmonic Orchestra and the Orchestre Symphonique de Nancy, Missa Solemnis (Beethoven) with the Tokyo City Philharmonic, Mass in C Minor (Mozart) with the Tokyo Philharmonic, Messiah (Handel) with l’Orchestre de Picardie, A Midsummer Night’s Dream and Elias (Mendelssohn) both with the Orchestre National de France. She has been invited regularly for operatic gala concerts such as Verdi gala in Montreal, Puccini gala with the Latvian National Opera, season opening gala concerts in New National Theatre Tokyo and New Years Opera concerts by NHK broadcast live TV nationwide in Japan and elsewhere. Hiromi Omura is resident in France.